The departure of Steve Jobs the co-founder, chairman, and CEO of Apple Inc. has sparked a lot of buzz in the Christian community and church blogosphere as well. To tell that Steve Jobs was a man who had the whole world in his arms wouldn’t be exaggerating. I am not seeking to pass the judgment on Steve but I feel very concerned about his soul, (Matthew 16:26). Many sources claim Steve was not a born again Christian. 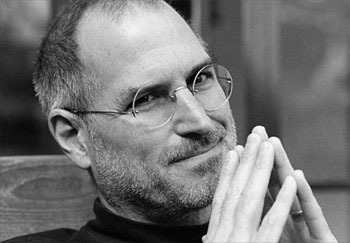 Steve lived the iLife without iTthinking, about eternity and where is he going to spend it. I grieved the moment I heard about his death and still grieving thinking how things will turn out for Steve at the rapture? Some might say, “Well there was Billy Graham – Steve must have heard him many times”. The point is, I am not talking about world famous evangelists who preach to masses when I say we need Christian Steve Jobs. I am talking about peers who can personally reach out to top CEO and business leaders with the gospel of Jesus Christ. We need Steve Jobs who know Christ to reach out to Steve Jobs that don’t know Christ. Are you that man? Steve needed to be reached! People like this need to know Christ. They must be reached personally and get saved.